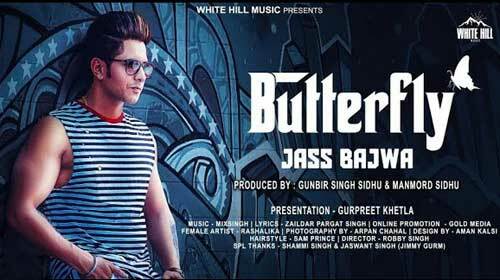 Butterfly Lyrics – Jass Bajwa : This is the most awaited song of Jass Bajwa which is produced by Gunbir Singh Sidhu & Manmord Sidhu. Its music is given by Mixsingh and lyrics are penned by Zaildar Pargat Singh. This song features female artist Rashalika. If you find any mistake in lyrics of BUTTERFLY LYRICS – Jass Bajwa | Punjabi Song song please let us know in comments.